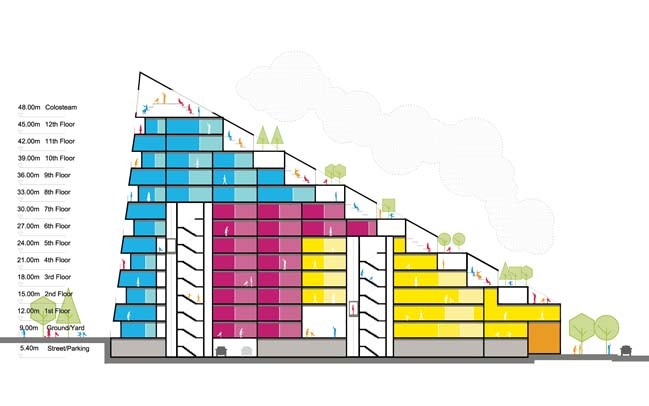 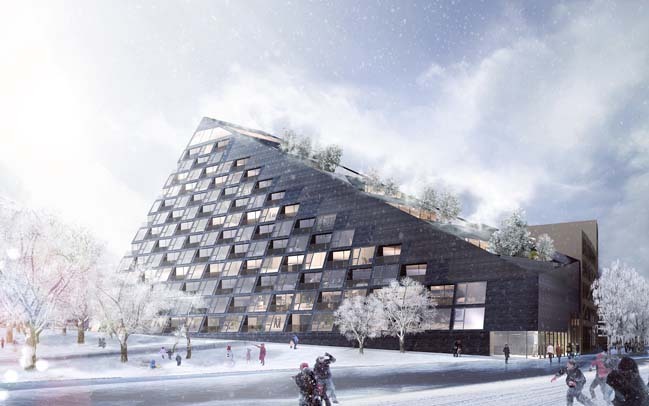 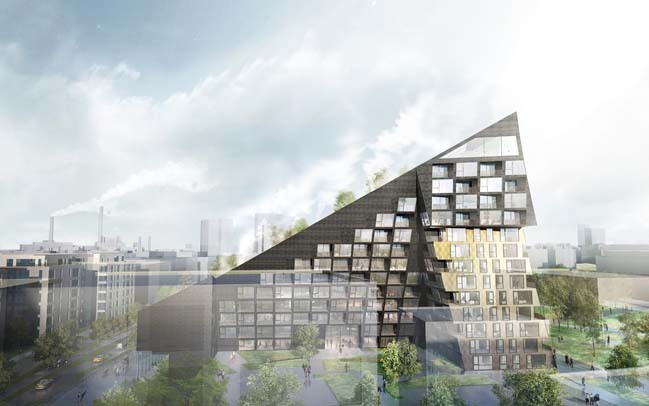 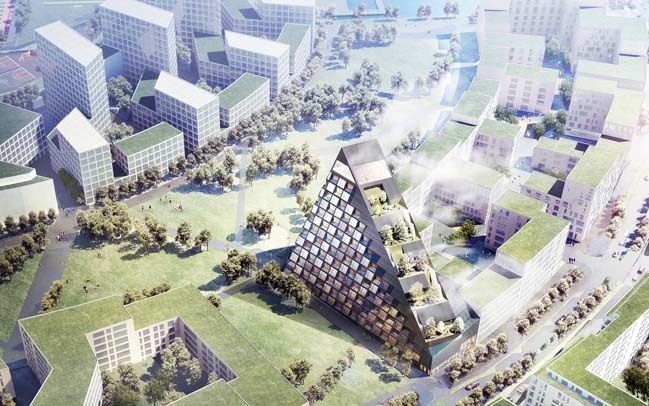 The SATO Löylyramid is a residential proposal that was designed by JDS Architects and positioned to become an addition to the skyline of sustainable cloudmakers of Helsinki. 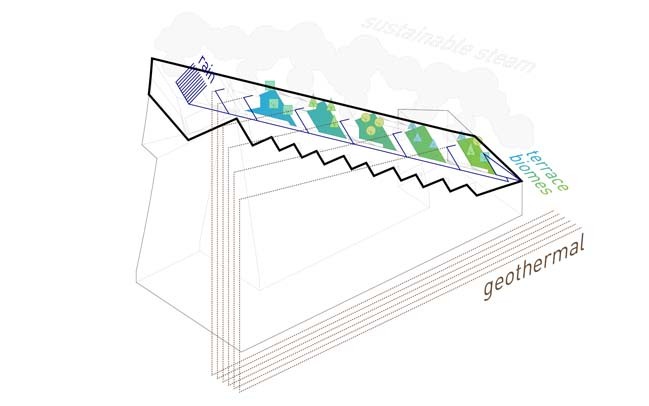 "löyly" is a Finnish word which means "The steam that rises from the sauna stove (kiuas) or the heat of the sauna. 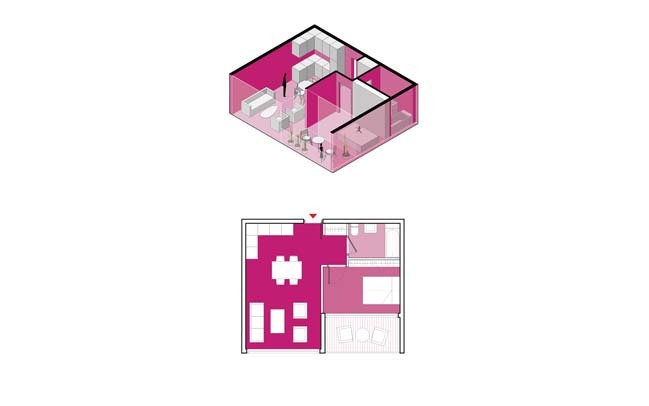 Each sauna is considered to have its own character and its own distinctive löyly; the better the löyly, the more enjoyable the sauna." 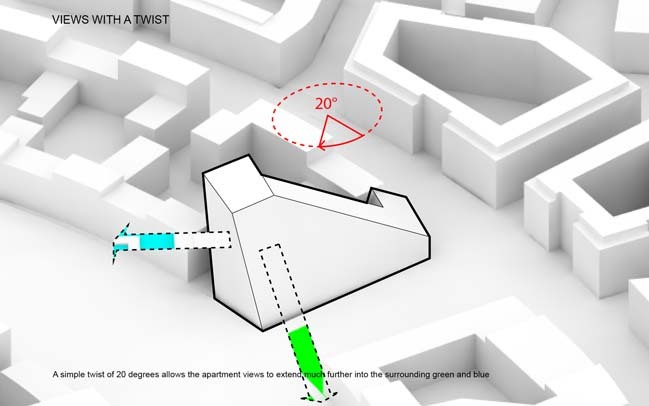 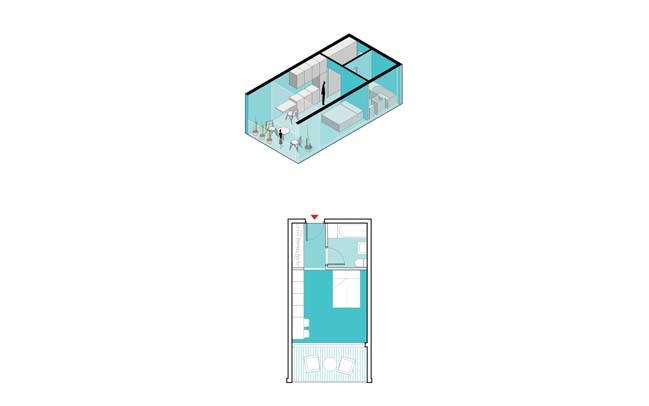 From the architects: In our developed cities, communal living in residential apartments is becoming more compartmentalized as private space takes precedence over almost any other amenity; we live in increasing density yet we interact less and less, what was once a community has become a vertical series of disconnected units. 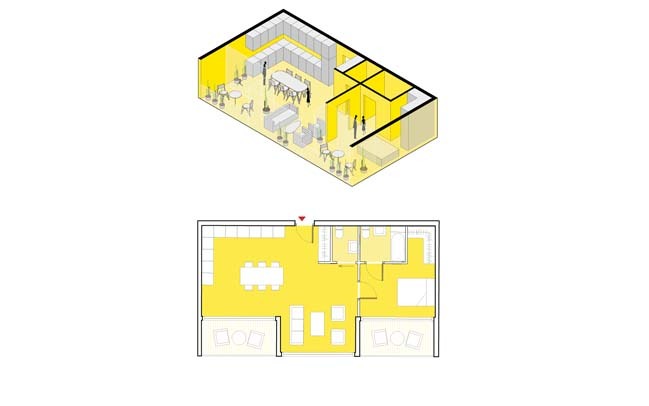 The Sauna- a program deeply rooted in Finnish culture- has, on the other hand, evolved in an exactly opposite direction, maintaining a communal, non-hierarchical social gathering space as a tradition over thousands of years. 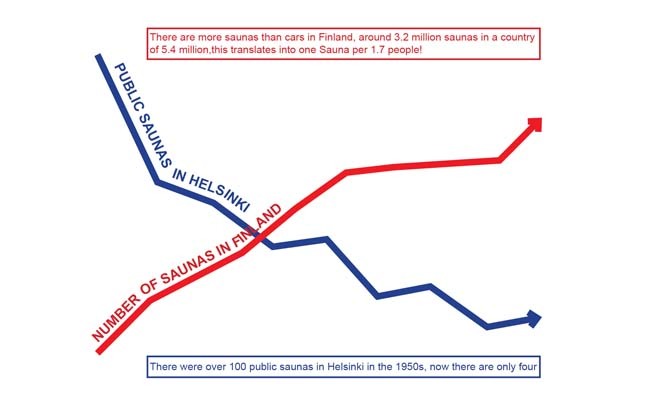 There are more saunas than cars in Finland, around 3.2 million saunas in a country of 5.4 million, this translates into one sauna per 1.7 people! 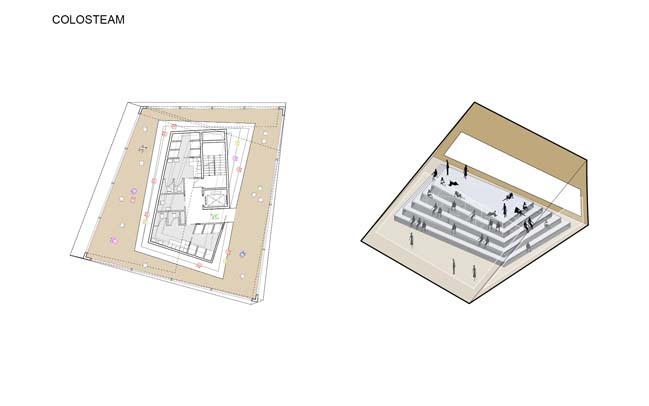 Despite these numbers, public saunas have been steadily decreasing in favor of private saunas built into residences. 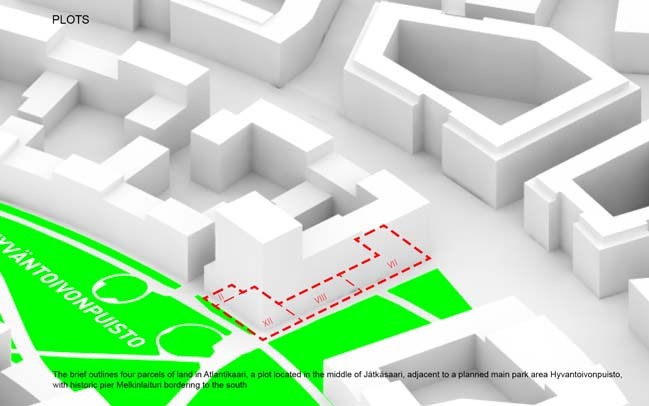 There were over 100 public saunas in Helsinki in the 1950s, now there are only four, a further testament to the encroachment of private space into traditionally public program. How can the lessons of the sauna, one of the few remaining bastions of truly public space, inform increasingly hermetical residential developments towards innovation? 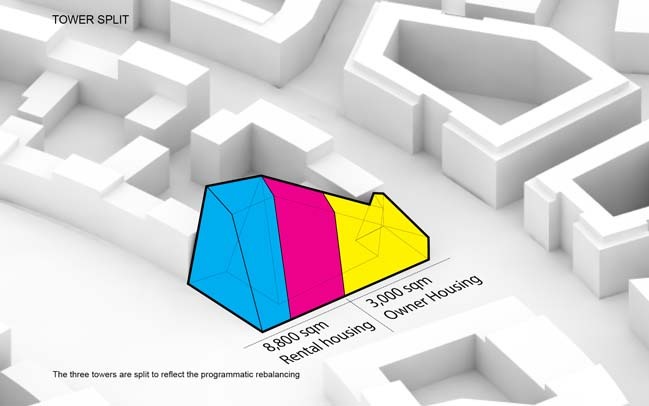 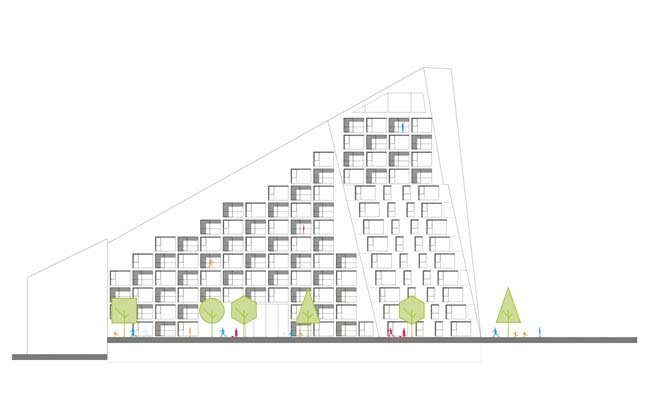 The SATO Löylyramid takes the brief requirements for a shared rooftop sauna to its most impactful conclusion by proposing a grand communal sauna “chimney” as a completely accessible rooftop of the new residential development. 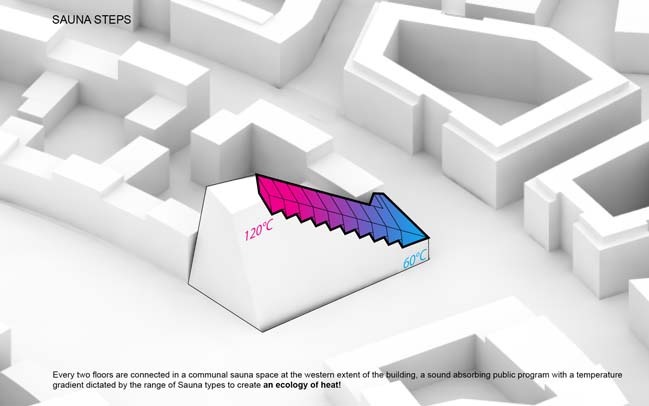 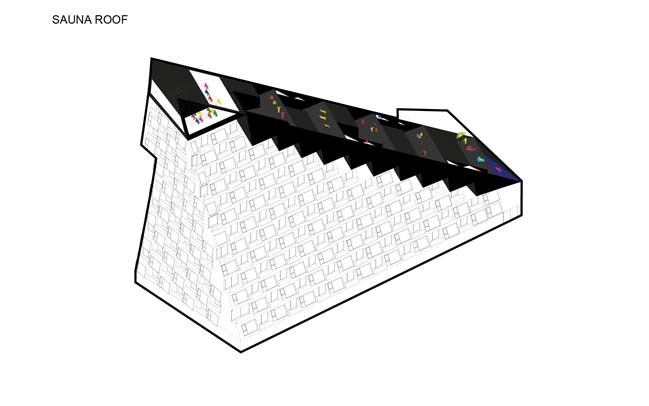 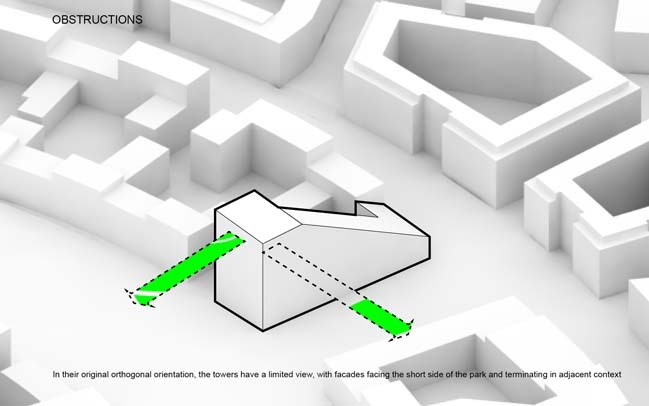 By embedding the social nature of the sauna directly into the apartment program, a platform emerges where residents can engage with their neighbors and mix together, creating a hybrid gradient of public and private functions that reestablishes the sense of community which has been lost in traditional isolated residential tower design. 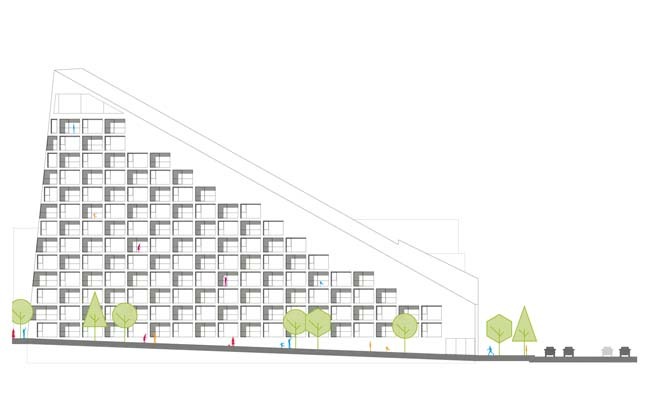 Private sauna program for each resident is added up and spread over the top of the building to provide the ultimate communal rooftop amenity; an aggregated redistribution of program towards a social purpose. 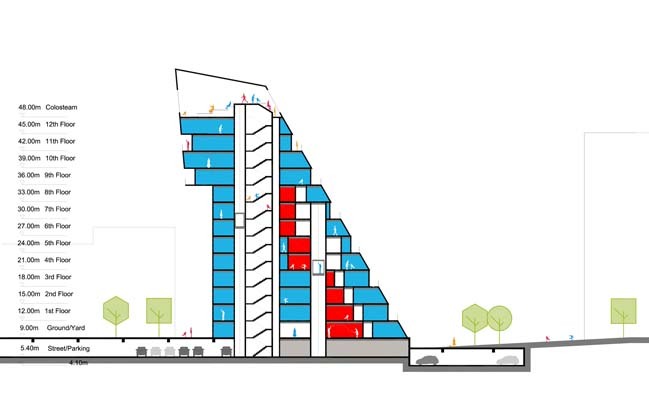 The saunas are connected by an outdoor staircase that leads from the top residential floor all the way down to the pool located above the commercial area, collecting two floors each in a cascading terrace. 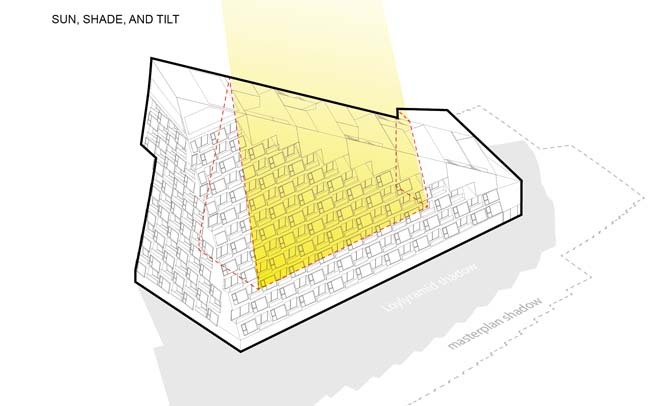 Occupying the entire western face, the sauna roof also acts as a protective buffer from the noise of the highway and glare of the setting sun. 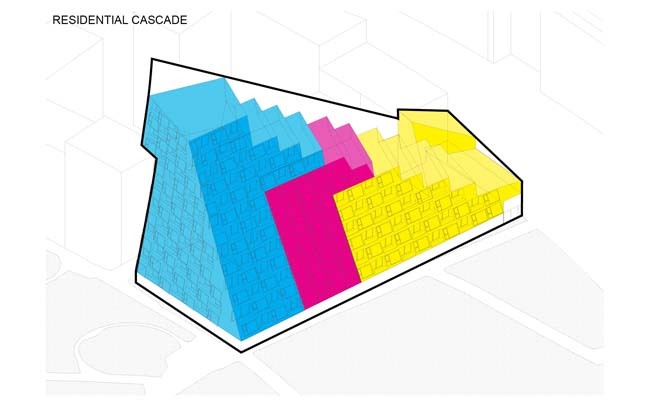 A cascading programmatic organization puzzles the three towers into each other to allow equal access to shared spaces and rooftop amenities while fulfilling the area and location requirements specified in the brief. 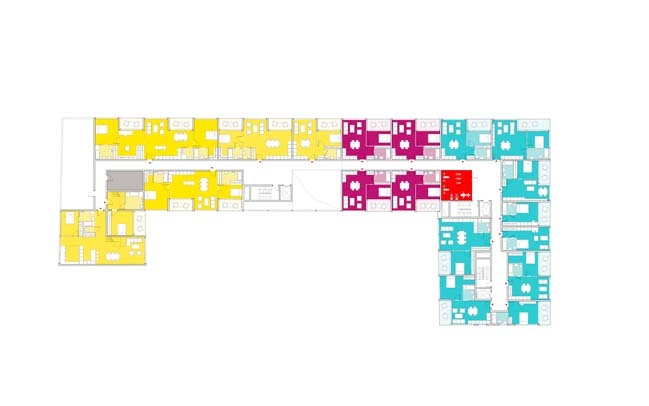 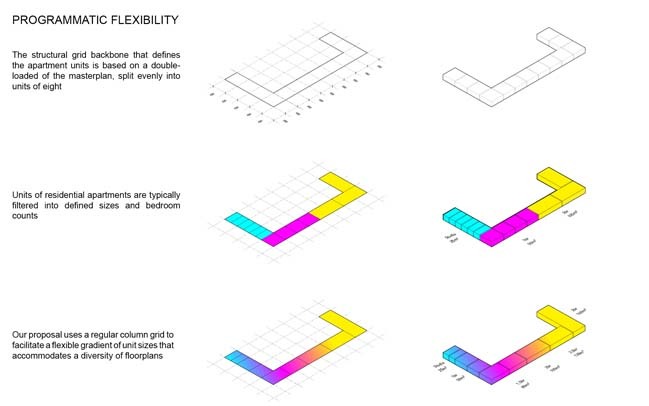 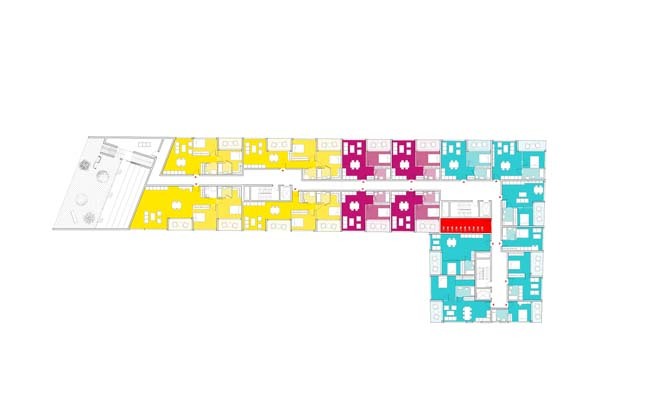 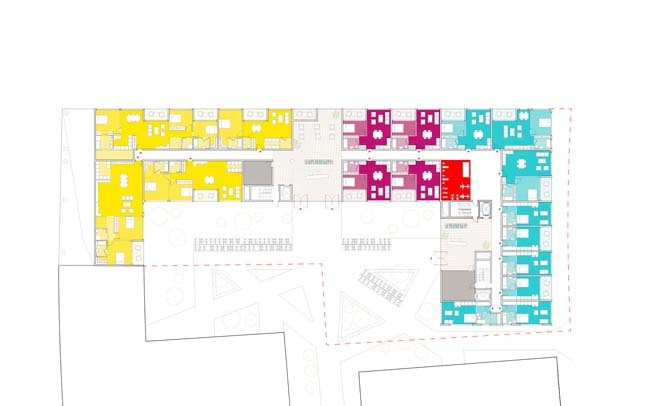 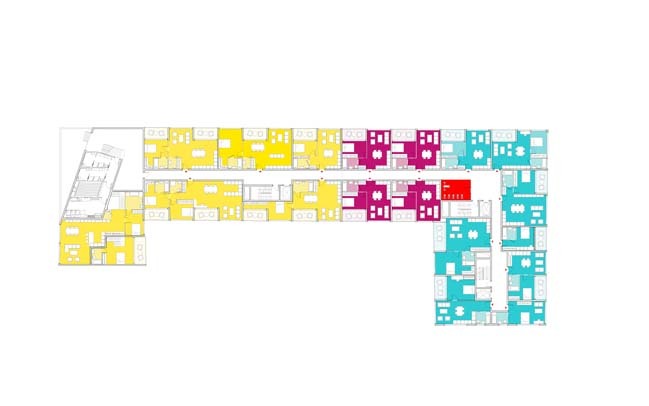 The common corridor grants accessible entry to the shared spaces from every floor. 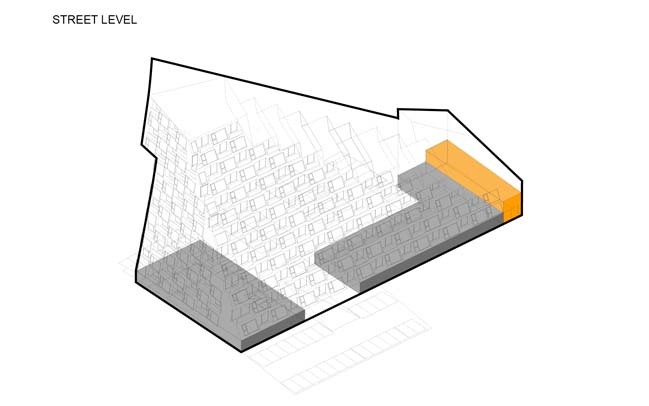 Each residential tower has its own separate core, with separate homeowner and rental entrances as well as storage units. This planning enables the towers to flexibly operate as separate or combined entities according to the discretion of the management. 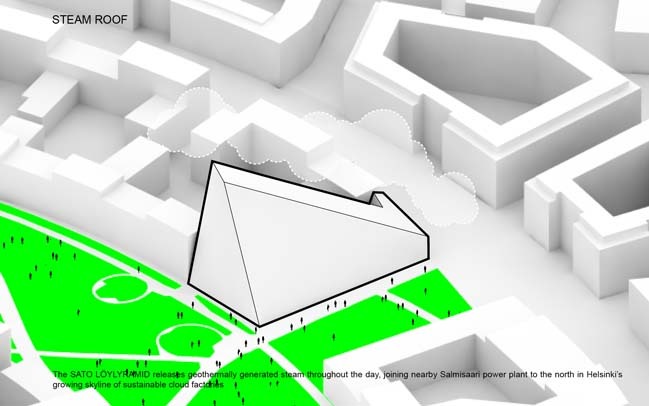 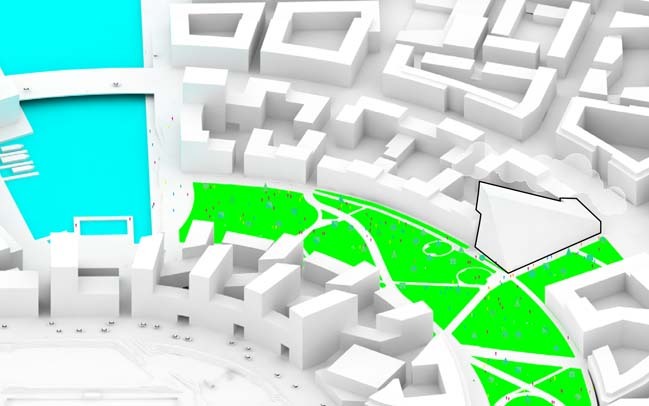 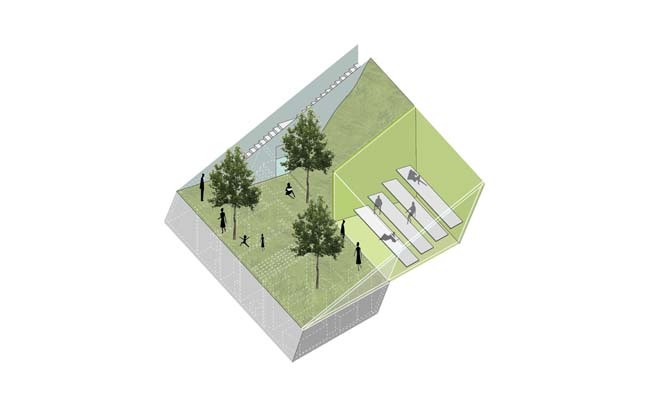 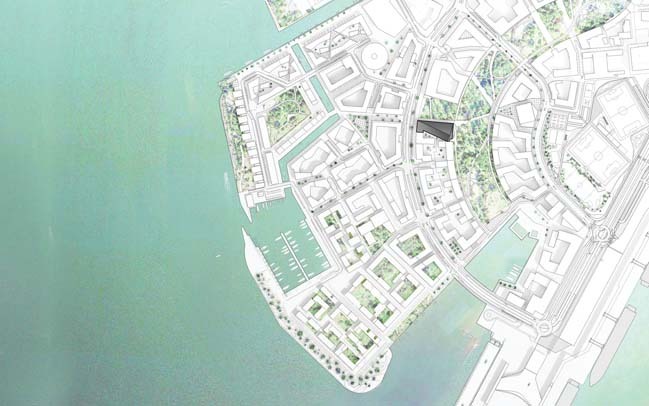 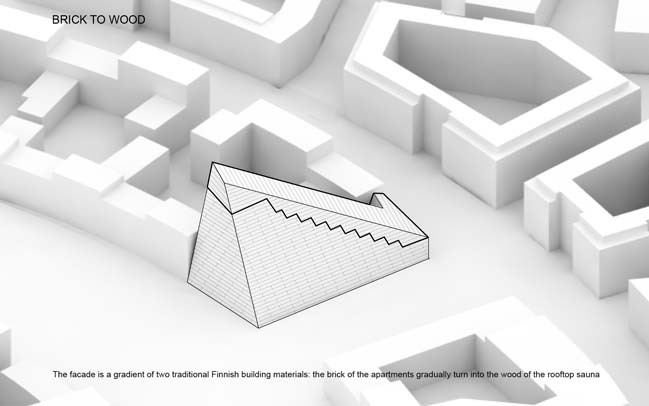 The eye of the Löylyramid is the Colosteam: a public sauna that is proposed as a gift to the city. 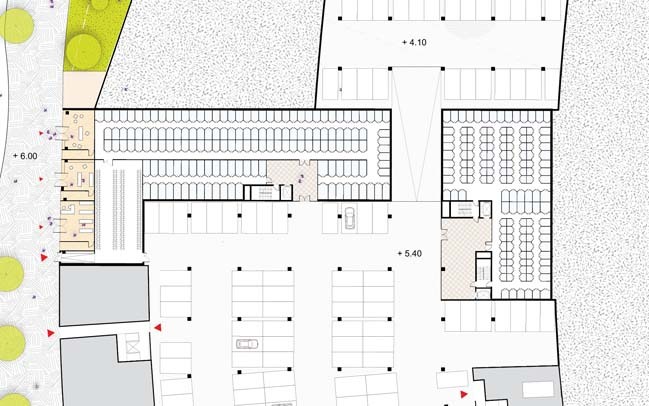 Occupying only 3% of the total floor area, it takes a stand against the increasing trend of sauna privatization as a symbol championing the public realm. 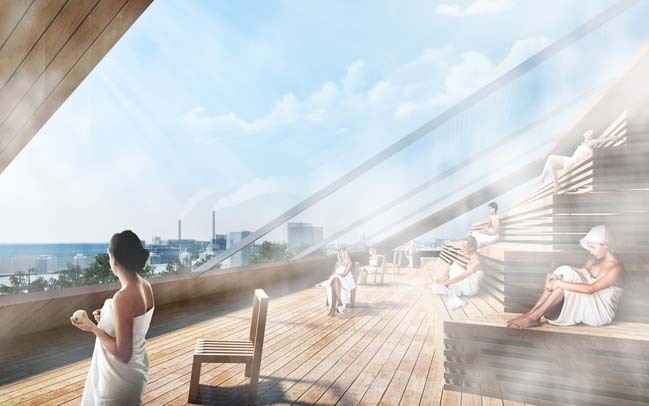 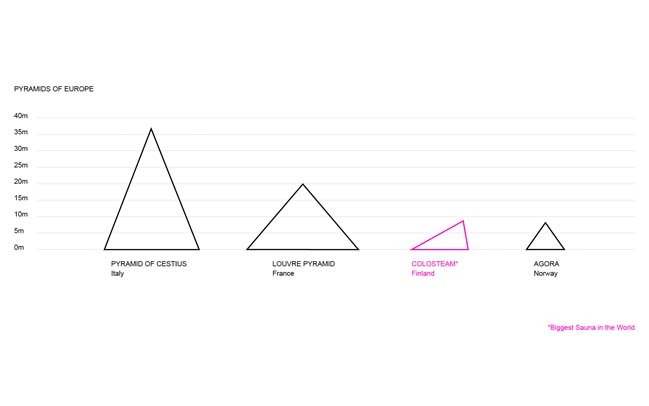 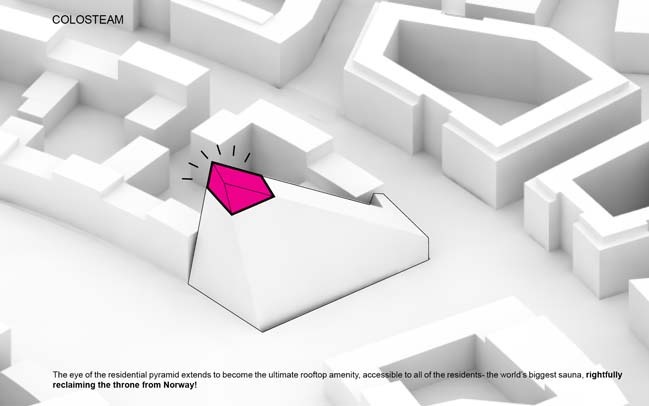 The Colosteam will be the biggest sauna in Finland-reclaiming the title from the ‘Agora’ in Norway- and the only public sauna in Finland with a view of the Horizon. 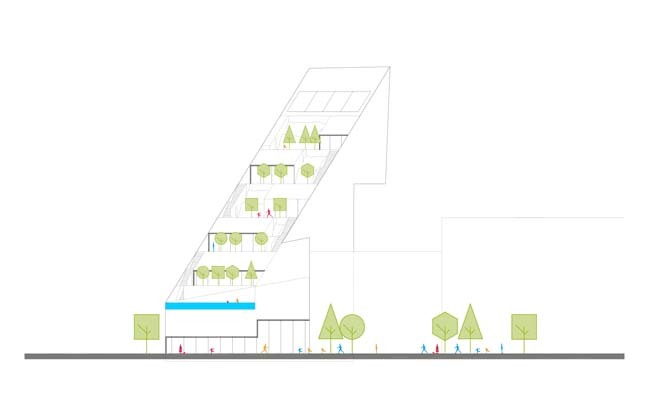 Rainwater is collected on the roof and distributed to the saunas and pool, then heated using geothermal energy to make 100% sustainable sauna steam! 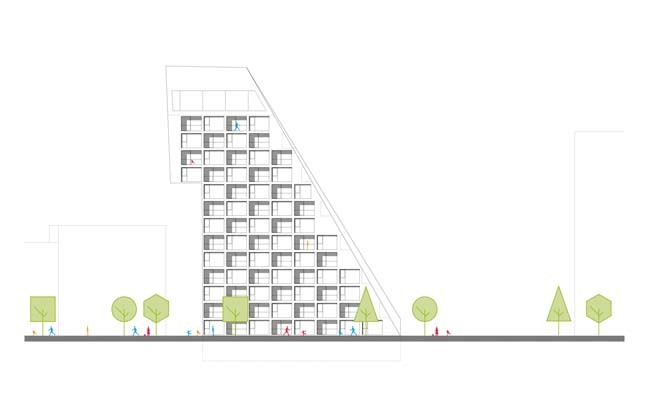 The SATO Löylyramid is a residential proposal which approaches joint living from the other end of the public/private spectrum. 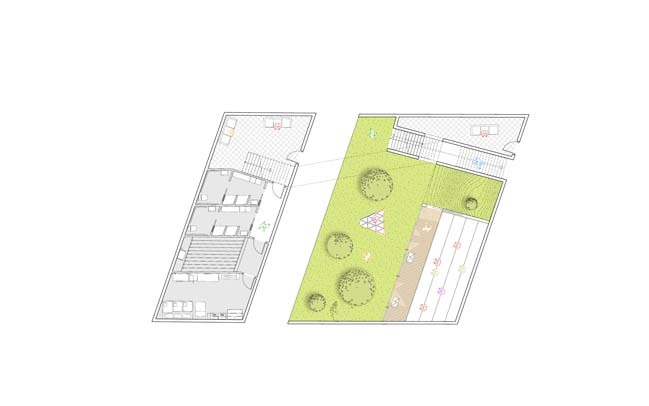 The communal ambitions presented reflect a society that appreciates the value of public space and ecology as a compliment, not a hindrance, to private living space.